Wooster Community Hospital’s Patient and Family Advisory Council allows our patients and families to have direct input and influence on policies, programs, and practices at WCH. Patient and Family Advisory Councils are grounded in the belief that often the most informed voices on the care team are those of the patient and family. Ultimately, only they can confirm whether a plan of care was explained thoroughly, care was tailored to their specific needs, systems worked efficiently and effectively, or their questions were appropriately addressed. Our goal is to incorporate the voice of our patients and families in the important decisions we make to provide your care. We are looking for people in the community who are interested in serving on our council and providing our health care team with constructive advice and feedback to improve our patients' experiences. 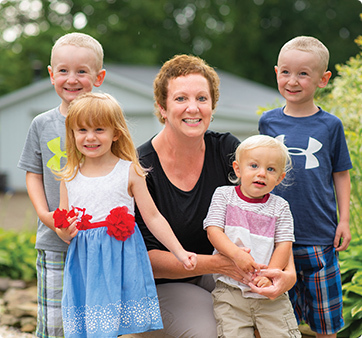 The Patient and Family Advisory Council serves in an advising capacity to assist Wooster Community Hospital Health System to promote the philosophy of patient- and family-centered care. The council is a working task force to help WCH develop and support programs and policies from a patient and family perspective. If you are interested in becoming a member of our Patient and Family Advisory Council, apply today. For more information about the WCH Patient-Family Advisory Council, contact us at (330) 263-8348.